Partial property of local church purchased for 9/11 project. Across the country, more than 1,200 Sept. 11, 2001, memorials exist. This is according to the National September 11 Memorial Museum in New York City. Park benches, gardens, greenhouses and so many more sites are dubbed as areas for people to reflect and remember the nearly 3,000 lives lost on that tragic day. Harrison Township is in the process of creating its own memorial, one soon to be located on a portion of 18 S. Main St. : the corner of the Mullica Hill Baptist Church property. The township recently purchased the parking lot and a grassy area of the church’s property in preparation of building the memorial. This area was purchased from the church for approximately $40,500 and bids for construction are going out this week, township administrator Mark Gravinese said. The cost of the project is not yet available; however, funds for the project were set aside in the 2017 municipal budget and due to several factors, including uncertainty of the project’s location, the funds were carried over into the 2018 budget. The project, which has been in the works for nearly five years, was presented to the township by former deputy mayor and current commander at the American Legion Post 452, Dennis Clowney. With overwhelming support, the township set up a Harrison Township World Trade Center Artifact Retrieval Team and secured multiple artifacts from each crash site. The team included Gravinese, Clowney, Mayor Lou Manzo, Ron Walk and Dennis Chambers. The township has been in possession of these artifacts since 2015. One is a piece of World Trade Center steel weighing approximately 2,000 pounds. 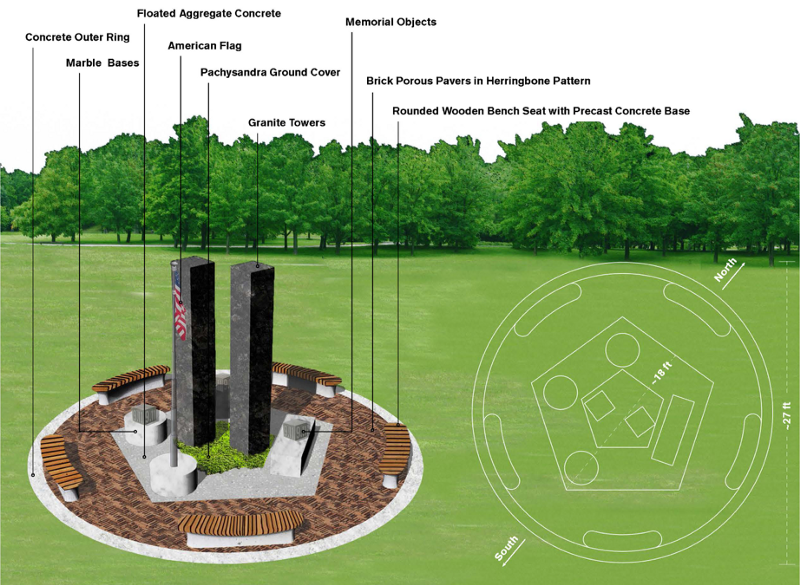 While the project has taken several years to get underway, at the township’s May business meeting, John Cantwell, the township engineer, assured the committee the memorial is moving forward. The township plans to repave the church parking lot and implement a pathway to the memorial that will consist of a concrete ring 27 feet in diameter with two granite (or like material) towers atop a pachysandra ground cover in the center of a pentagon shape. 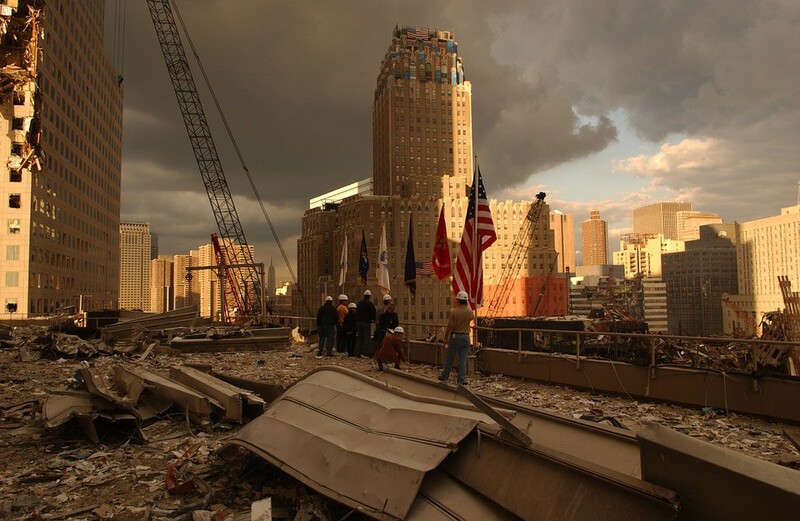 Artifacts from all three sites — New York, Washington, D.C., and Shanksville, Pa. — will be included. The township’s plan is for each artifact to face in the direction of its respective crash site. More information will be provided once made available.